Hello. 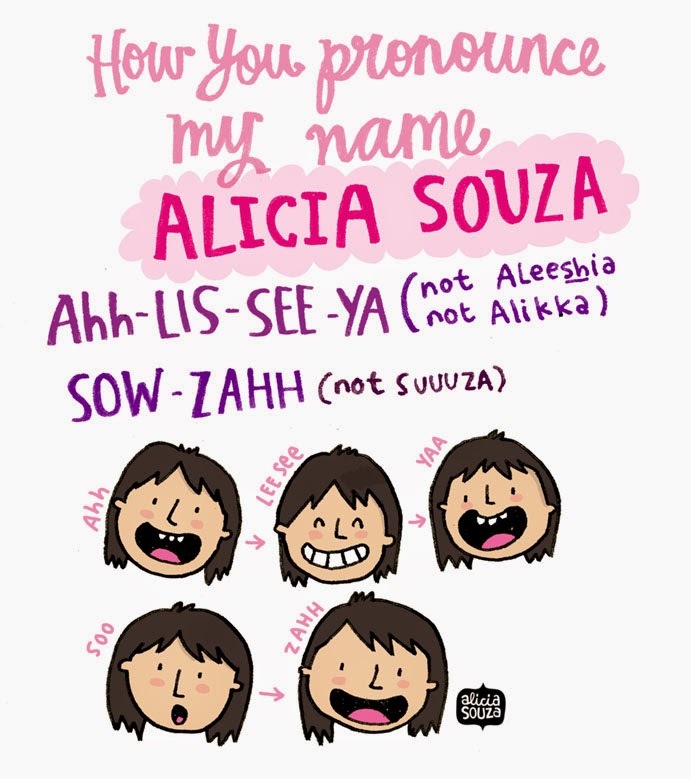 My name is Alicia Souza and I am an illustrator. I get mails daily asking me questions that are similar in nature, and though I love replying all of you and receiving mails (yes, I do! ), I thought putting up the most frequented asked ones would be nice. First drawing you’ve ever done? Im pretty sure a scribble, like everyone else. Though the first recollected drawing I did was of a red scooter on wood, with chalk. I was so proud that I woke up my mom to tell her. I don't remember her being too pleased on seeing a chalk scribble (it definitely looked more scribble than scooter) all over her wooden cupboard. I never know what to answer for this really. I was born in the Middle East, the beautiful Abu Dhabi, UAE to be precise and did my schooling there. I then moved to Melbourne to get my degree and was there for five years. In 2010 I decided to move to Bangalore, India to co-found a lifestyle brand, Chumbak. 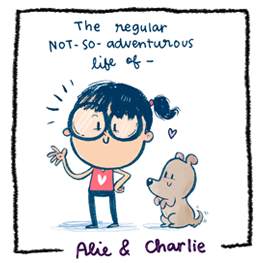 We parted ways in 2011 and I’ve been freelancing and making merry in Bangalore ever since! Most people say I was born 50 years old with my taste in music, but my passport says I’m in my late twenties. You can look at the visual snippets of my life. Country, Christmas and music they play in elevators. 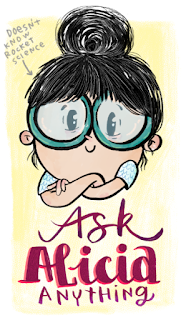 What do you and don’t you like illustrating? 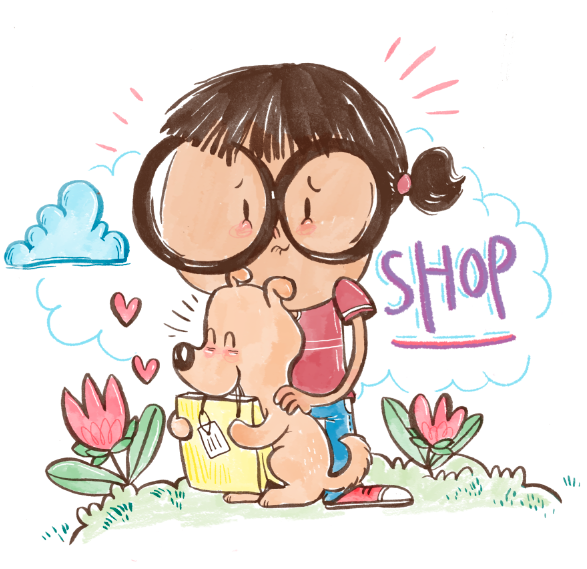 I like drawing funny incidents in a day and dogs, ofcourse. I’m not too fond of drawing cars. Yes, housework. And dog walks. Yes, I have two rascals. One munchkin (my gorgeous Indian mongrel) called Charles-Brown, who lives with me and has a terrible habit of being ultra-adorable when there are biscuits in sight. My other pumpkin (a labrador) named Lola-Bear, lives with her daddy, and her new sidekick, Lana-Brown. They are the lights of my life and I’m obviously obsessed with their existence. Did you say you want some photos? Sure, take a seat, Make yourself a drink. This may take a while, as I pull out the 300 albums I have of them. Where is your online store? What’s your illustration process? Do you use Illustrator? I get asked about this every other day so I made a drawing about how I draw. I like to think that my style is evolving and changing just like me as a person. Though I reckon drawing excessively makes you come to a comfortable level of illustrating in a certain style that you can call your own. How did you get started as an illustrator? Did you study to be an illustrator? I have a Bachelors in Communication Design at RMIT, Melbourne. I did a bit of freelancing in Melbourne as an illustrator but it was only when I moved to Bangalore, and worked on Chumbak that I was illustrating full-time. I’ve not done any formal courses in drawing. Do you have an idea process? Do you get artist blocks? Like every artist, I get into creative slumps too. The key here is not to dwell on the subject but to change your routine. Get out of your studio, go for a walk, meet new people, explore and without a doubt, there will suddenly be a million things to draw about. Here is an illustrated idea generation method that I found lovely enough to compare to pizza. Sorry, no, not at the moment. Illustration charges depend on the brief, timeline, details, sizing and usage. Please contact me if you have a brief at hand or even just want to say hello. Here is a basic process of how a project proceeds post approvals of briefs, timelines etc. Love the work you do! Very inspirational as a budding illustrator! Love your work, Alicia! I've followed your work for quite some time now, ever since the illustrations for Dear George were shared about a hundred billion times. I may have also creeped about your blog and website in the past hour enjoying all of your wonderful illustrations. Not too sure of what to say now so I'm going to wish you a good night.